It was my very first day of Freshers Week at Trinity College Dublin (TCD). I was in the line just outside the Academic Registry waiting to confirm my module choices when I received word from my mother that I had been selected as an All Ireland Scholarship winner from the Meath region. Words cannot truly describe the emotions I was feeling, but to say I was shocked would be an understatement. I knew I had just been granted a very special card in life, one that I would take full advantage of. I probably wasn’t fully aware at the time just how integral the scholarship would be going forward and how it would impact, not only my academic career, but the financial stress looming over my family. The scholarship was the ultimate blessing in disguise. 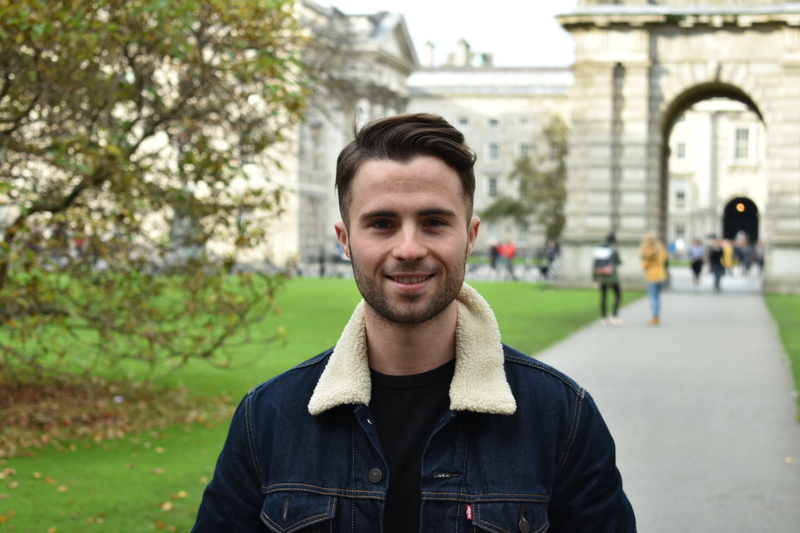 I am a rising 4th year Biochemistry student at TCD and since receiving the All Ireland Scholarship I have been fortunate enough to represent Trinity College as a research intern at the University of Massachusetts Medical School. The academic stability granted by the scholarship means I have been lucky enough to explore many exciting places both in the US and in Europe. These experiences have enriched both my personal life and my college life. I have always been a hard worker, however, having the scholarship has really allowed me to optimise my performance in college. This has allowed me to maintain a 1st class honours-grade average during my time in TCD thus far. I am currently exploring post-graduate opportunities in pharmacy and medicine both abroad and in Ireland, but wherever my studies take me next, I will be able to look back at my undergraduate studies with great memories. I will forever be thankful to Mr JP McManus and all the trustees for allowing me to have such a positive college experience. I will always be honoured to be part of the All Ireland Scholarships class of 2014.